What Deadbeat Customs is all about: There comes a time when everyone gets their driver’s license, and guys like me know the motorcycle thing just sort of happens. Your friend buys one, you buy one, and soon enough all of your friends are riding bikes. It just kind of takes over. Instead of shredding the local skate spot with your buds, you’re hitting the pavement with the same guys and putting miles on your motorcycles. Before you know it you’re swapping out handlebars and customizing that bike to make it your own. At Deadbeat Customs we’re about grassroots motorcycle riders, who take it upon themselves to customize their bike. A certain pride comes with making a bike your own; you created or customized it for you, and nobody else. What you can find at Deadbeat Customs: At Deadbeat Customs we support those who pick up a wrench and customize bikes themselves. We offer parts for all Harley Davidson models and also offer custom parts for Choppers, Bobbers, Trackers, and Cafe Racers. When it comes to building a custom motorcycle we carry some of the best brands available such as Biltwell, TC Bros, Gasbox, Trask, Burly Brand, San Diego Customs and more. 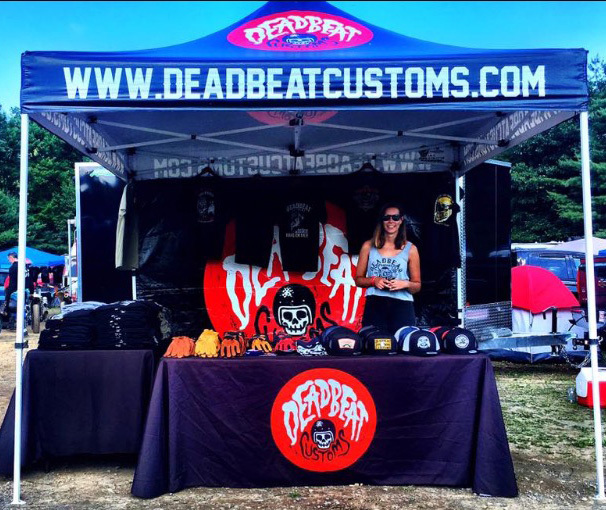 How it all started: Steve Bramanti started Deadbeat Customs in 2011, he was living at a friends house at the time, which became home base for Deadbeat Customs. The original Main St address of Deadbeat Customs was just a basement in a buddy's house full of motorcycle parts. "I would sell take-off parts at swap meets and began selling them online," says Steve. Steve drove a delivery truck early mornings and then operated Deadbeat Customs afternoons, nights, and weekends. The original Main St Deadbeat house was convenient as it was located directly across from the post office. The take off parts Steve sold then turned to selling a few "Deadbeat" t shirts, and in order to place his first real dealer order Steve sold a Yamaha XS650 he had built. The original Deadbeat house on main st quickly overgrew the basement and landed us at our current Tewksbury, MA location. In 6 years Deadbeat Customs has gone from selling take off parts out of buddy's basement to being one of the premier motorcycle parts and accessories retailers on the web. We now offer over 175 Brands at DeadbeatCustoms.com and are growing every day. Take a look at our team below. 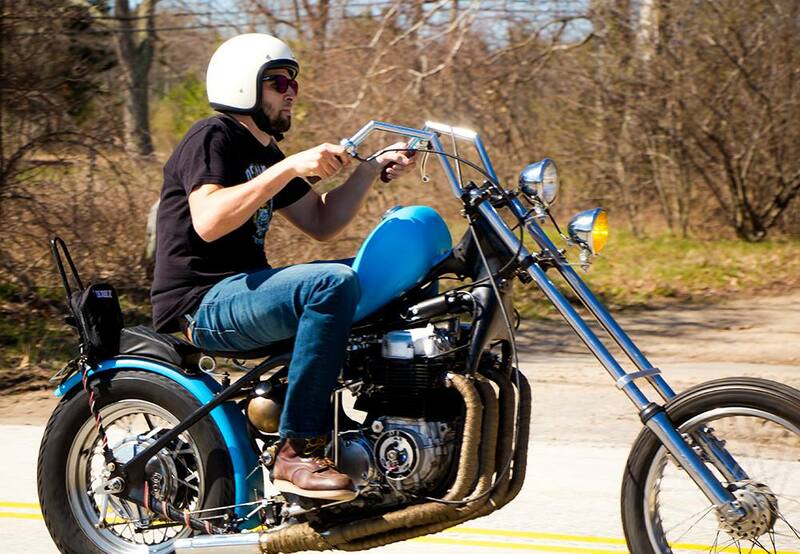 Getting into the motorcycle scene was an easy transition for Steve Bramanti, owner of Deadbeat Customs, who spent his teenage years skateboarding and riding dirt bikes with friends in the outskirts of Boston. Steve has worked in the motorcycle industry since 2005, when he attended MMI (Motorcycle Mechanic Institute) and later got a job as a Harley Davidson Technician. He now does what he likes best which is supporting the guys he can relate to and not some Las Vegas–on-wheels, land-cruiser-driving dentist that gets his oil changed at the local dealership. "I currently ride a 2007 Superglide, but if you follow me on Instagram you’ll see I’m working on it as much as I’m riding it. All of my friends ride, and we all work on our own bikes, " says Steve. Meghan has been with Deadbeat Customs for over three years. She has a bachelors degree from Merrimack College in Business Management and oversees the day to day operations here at Deadbeat Customs. From shipping and receiving to website development and customer service, Meg does it all. She started off with little motorcycle experience and now has grown fond of the whole motorcycle industry and culture that goes with it.